The palm tree outside my window is shivering in the wind. What a striking sight for a transplant from Eastern Europe. 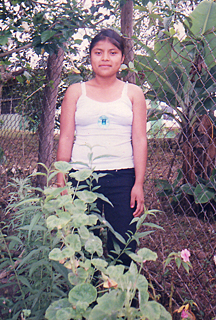 The death of 17-year-old pregnant farmworker Maria Isavel Vasquez Jimenez has become a symbol of a system gone wrong, outraging the farmworker community and leading to the first ever criminal case over a farmworker’s heat-related death in the country. The teen died of heat stroke after working for nine hours in 100-degree heat pruning grapes. Read about the criminal case and about why Maria Isavel made it to California in the first place. Find the story here or link to PDF. Photo courtesy of the family.